Apple announced on Tuesday that its developing iTV a device that will connect your digital media on computer to your home entertainment system wirelessly, they will introduce the product in Q1 2007. According to apple iTV will have 802.11 wireless, USB 2.0, Ethernet port, HDMI, Component Video, analog audio and optical audio you can directly connect it to the TV, use it with a Set top box or a receiver. It has a new frontrow software and can play Videos, audio, photo slideshow and even podcast from your computer. 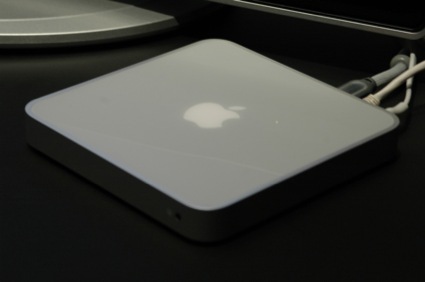 It can be managed buy Apple's simple remote control and it works with both Mac and PCs. So apple has started it move to capture your living room. Apple will price it at $299. Apple has added movies to iTunes store. Apple announced on Tuesday that it has added 75 movies to iTunes store which was selling music, music video and TV shows online. The studios that are available on iTunes movie store are Walt Disney Pictures, Pixar, Miramax Films and Touchstone Pictures which are part of Walt Disney Company. Apple will continue adding more movies and more studios. New movies are available for $12.99 as pre-release or in first week of release on DVD, after that new movies will cost $14.99 and Library title will be available for $9.99. The movies are encoded at near DVD quality at 640 x 480 resolution and the audio is encoded in dolby surround sound. Like the music store, people can rate and review the movies. According to Apple movie can be downloaded in 30 min on a 5Mbps Broadband connection and you can start watching the movie while it downloads. We tried to download Pirates of the Caribbean: The curse of the black Pearl and it took 1 hour and 12 minutes, we have a 1 Mbps connection. But like Apple said we were able to watch the movie without a problem while it was downloading and we started playing the movie with in one minute of starting the download. The Picture quality was good on my 20" screen and i think it will look on big screen TV's too. It was Apples day on Tuesday with new iPods, Apple also released update for iTunes. Apple made the iTunes 7 look more clean by making the source list more organized. Apple has added three different views first is list view which we normally see in iTunes library, second is Album view where you see the album art and songs grouped in albums and third is Cover flow view which enables you to rapidly find what you are looking for by scrolling through album covers. You can use different view for different playlist. If you have a iTunes Store account iTunes will automatically fetch available album art for any CD you import to iTunes. Now the iPod information can be see directly in iTunes without going in to iTune's preferences plus it give you detailed information about what you have on your iPod and how much space it has taken on your ipod. Apple has also added a Download manager where you can manage what you are downloading from iTunes store, you can pause a download and give preference to different downloads. iTunes also adds onscreen display like Quicktime plus the resolution of TV show available on itunes has been increased to 640 x 480. Apple has added some nice touches to an already great software. 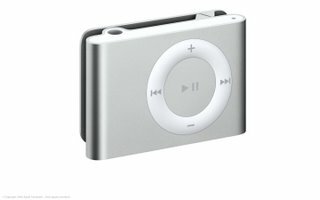 Apple also released Second generation of iPod shuffle, the new iPod shuffle is also made of anodized aluminum and has a build-in clip. 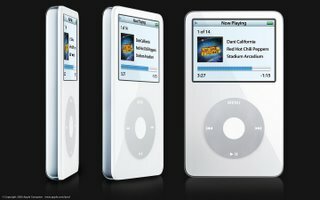 Apple says its the smallest Mp3 player in the world and it measures 1.07" x 1.62" x 0.41" and weighs only 0.55oz. It comes in one model that is 1GB in capacity and silver in color. In Steve's own words " It's really beautiful". Shuffle has 12 hours of battery life and comes with a dock that connects Shuffle to your computer for charging and song transfer. Shuffle also comes with the new headphone like its big brothers iPod and iPod nano. Apple has released the 2G iPod Nano made of aluminum. 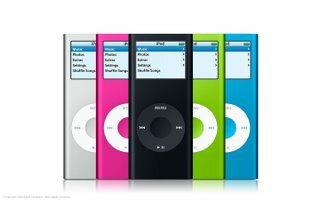 The new Nano comes in five colors silver, blue, green, pink and you guessed it right black. There are three models 2 Gb for $149 (silver only), 4GB for $199 (all colors except Black) and 8GB (black only). We know your question is 8GB in black only....? Yes 8GB is available in black color only, the logical thing would have been to offer 8GB in all five colors because we want a blue 8GB and girls all over the world want a Pink 8GB Nano. The best thing that Apple has done is give Nano a new case and that is made of anodized aluminum which is scratch resistant, Plus now the Capacity and prices match's other Mp3 players and still it is the sexist looking player on the market. The surprise was that Apple was able to make it Thinner and increase the battery life to 24 hours. The screen is now 40% brighter. Apple has added new software feature like Instant Search, Quick Scroll and Gapless playback you can find the description of this feature in our previous post on new 5G ipod. Apple has also designed new Headphone which they will include with the new iPod Nano. Apple says that the new headphone are better sounding and more comfortable in your ears the previous headphones. iPod Nano definitely looks better then other Mp3 player and its cost is also competitive to other Mp3 player on market. Apple introduced the updated 5G iPod, Apple reduced the cost of the 30GB model to $249 and introduced a 80GB model for $349. Apple has improved the brightness of the screen by 60%, added Search, Quick scroll and new games for download from iTunes Music store for $4.99. The battery life of 30GB iPod is now 14 hours for music and 3.5 hours for video, for 60GB its 20 hours for Music and 6.5 hours for video that is 75% increase in battery life. The size remains the same for the iPods and other specification are also same like the screen resolution and size plus audio and video format it supports. So basically Apple has added new feature to the iPod like Gapless playback where the music that was suppose to flow from one track to the second one won,t have gap between them, second software feature is Search where you can type in the song name using the click wheel and find the song you want, third new feature is Quick scroll, you see the letter while you are scrolling fast so that you get an idea where you are in the playlist and can scroll faster and the last feature is downloadable games for you iPod. Microsoft released Vista RC1 to developers last week, the RC1 is almost identical to the pre-RC1 release. RC1 has brought much need performance boost to Vista when compared to Vista Beta 2. You can see the improvement from the time it starts to install, time required to install vista has improved it has almost gone done by half. But one thing that surprised us was that Vista RC1 took more time to install on Dell XPS M1210 then on Apple Macbook, both had same processor (2.0Ghz core duo) same amount of RAM 1Gb. It took 45 Min on Macbook and 53 Min on Dell though the difference is small but it made us wonder. Motorola E690 is a smartphone based on Linux, it has touchscreen and multimedia support for audio and video. 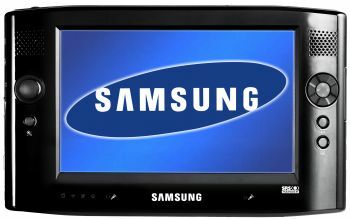 E690 features a 2.0 megapixel camera, 240 x 320 QVGA touchscreen, SD/MMC card slot, 3D surround speakers, Bluetooth and USB. Motorola has yet not announced price and availability. Intel Kentsfield is the next revision of its Core processors, its a Quad-core chip which intel will release by end of 2006. 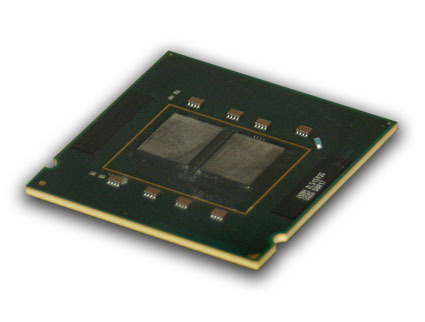 Kentsfield is essentially combination of two Core 2 Duo (conroe chips) processor into one single processor. Processor speed will start at 2.67GHz and run on a 1066MHz FSB, it will have two 4MB level 2 cache and work with the present 965 and 975 series chipsets for today's Core 2 Duo motherboards. Intel is expected to offer this processor for testing to press and analysts at the end of this month. This new processor is expected to give performance improvement to already fastest chip on the market Core 2 Duo (Conroe) for desktops. Intel had announced vPro technology, a package of hardware and software based on Core 2 Duo processor earlier this year. The platform promises to provide Unprecedented levels of computing performance and more proactive control of security and costs. Intel found in its study that the vPro platform could save 40% in total cost for businesses. Several major PC vendors have announced vPro based products and many software developers have also released product for vPro. Intel says vPro addresses issues like security threats, cost of ownership, resource allocation, asset management and uptime. vPro includes technology like second generation of Intel Active Management Technology, Intel Virtualization, the new Intel Q965 Express Chipset and Intel 82566DM Gigabit Network Connection. 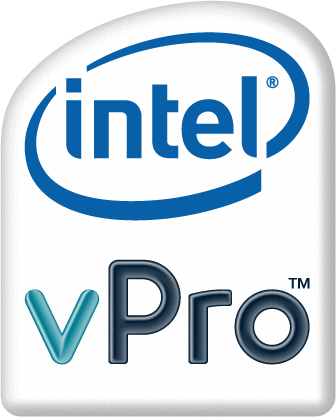 vPro benefits are yet not available on laptops but will be introduced in Intel Centrino Duo mobile technology codenamed Santa Rosa early next year. Its been one month since Mac Pro was launched by Apple at WWDC, everyone was impressed with the hardware configuration and value of the system. Now after one month and after being tested by different people, Mac Pro has been judged as one of the best Desktop workstation around. The internal and external design is appreciated by many and the performance is also very good. Apple's default video card choice is not liked by many but to keep a price tag of $2,499 that was not a option, but you can use build-to-order option of ATI Radeon X1900XT and it makes an excellent system. The default configuration of Mac Pro is dual 2.66 Dual Core Xeon processors, 1GB fully buffered DDR2 RAM, Nividia GeForce 7300 GT graphics card with 256MB memory, 250GB SATA Hard drive and 16x double-layer SuperDrive. It costs $2499 for this configuration. The change that you should make to this configuration is of video card replace the NIVIDIA with ATI Radeon X1900XT in build-to-order option. 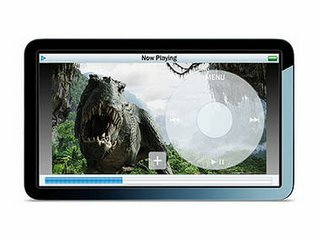 CNet has reviewed Cowon iAudio T2 which comes in 512MB, 1GB or 2GB flash capacities. It has a OLED screen with 65K color, FM tuner, 12 Hours battery life and best of all is very small, measures 1.14" x 2.0" x 0.53" and weighs 0.86 oz. Audio output is really good and CNet verdict says it, " Mac and Windows users in need of a small, music-centric MP3 player with great sound quality and an FM tuner will be pleased by the Cowon iAudio T2." Its 2Gb version costs $149.00 only. Let see what Apple has up its sleeve on 12th of this month. JBL has released new speaker named Mt. Everest, by name you can judge the size of the speaker. It measures 38 x 18.5 x 44 inches and weighs 313 pounds. 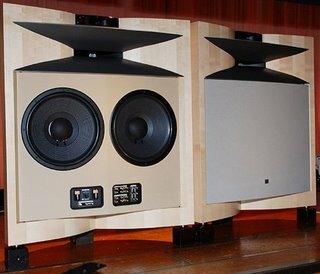 It is a 500 watts speaker which will be available in Japan for ¥ 3,460,000 that is almost $30,000. RIM has announced its first Blackberry device with complete multimedia capabilities like music player, camera, video player, the Pearl 8100. Blackberry Pearl is being launched with T-mobile and it is RIM first phone aimed at consumer market as well as there traditional business market. 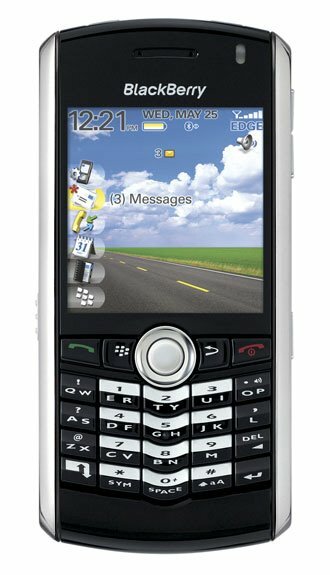 Blackberry pearl includes all the features that people have come to expect from RIM plus multimedia features for consumers. 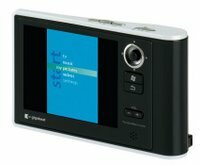 It has a 1.3 megapixel camera, 240x260 resolution screen with 65K color, MicorSd card slot, 64MB Memory and bluetooth 2.0. Its multimedia player has audio support for Mp3, MIDI, AMR-NB, ACC, ACC+, eACC+ and video support for MPEG4/H.263. 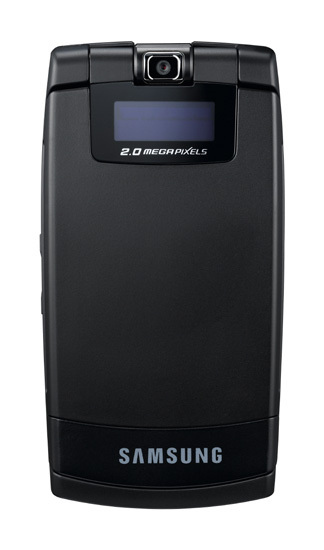 It supports GSM 850/900/1800/1900MHz frequencies. The phone size is also small at 4.2"x2.0"x0.57" and weighing 3.16oz. The talk time is 3.5 hours and standby time is 15 days. It will be available through T-mobile on September 12, and its cost is yet not known. 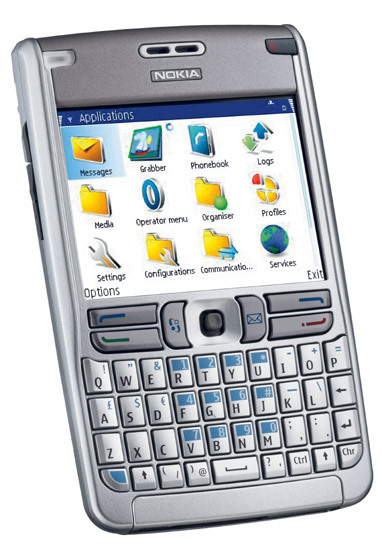 Nokia with Rogers Wireless has launched the Nokia E62 which was rumored to be launched in America by Cingular Wireless. Nokia E62 is almost like Nokia E61 with the exception of WiFi and UMTS both are missing from this phone. Amazon Unbox is a DVD-quality video download service which will offer movies and TV shows. Unbox offer video encoded at 2500 Kilobits per second for DVD quality video and it also includes a second file optimized for playback on windows media portable device at no extra cost. If you have very fast broadband connection then you can start watching the video without completely downloading the video as Unbox uses progressive download system. Unbox has RemoteLoad technology by which you can purchase the video from you office computer and download it to your home computer. Movie studios like 20th Century Fox, paramount, Sony Pictures, Universal Pictures, Warner Bros., Lionsgate and Metro-Goldwyn-Mayer studios are participating. TV networks like BBC, Cartoon Network, CBS, Comedy Central, Discovery, Fox, MTV, VH1 and many more are participating. Unbox runs only on Windows XP system and you cant make a DVD to view on other devices like DVD player. You can re-download your video from Amazon unbox in case your computer crashes. Amazon Unbox uses an Amazon Unbox player, files downloaded from Unbox can be played only with the Unbox player the smaller file can be played on windows mobile devices. The best desktop computer in the market today just got better! Apple adds more to their iMac range with a new 24" iMac with Intel Core 2 Duo processor. They also announced updates to their existing 17" and 20" iMacs as they move from G5 to Intel Core 2 Duo. The processor speed ranges from 1.83 Ghz to 2.33Ghz, Apple also claims a 50% performance increase then previous 20" iMac. The 2.00, 2.16 and 2.33 Ghz processor have 4 MB of L2 cache and the 1.83 GHz has 2 MB of L2 cache. 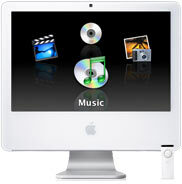 The standard options on all new iMacs include iSight camera, wireless, Bluetooth, Apple remote, Keyboard, Mighty Mouse, 2 Firewire, 3 USB 2.0, gigabit Ethernet, optical audio out, built-in Microphone and Built-in stereo speakers. 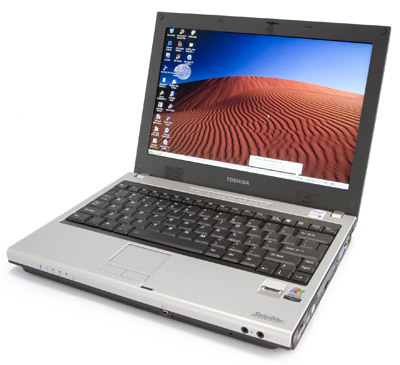 Specs of the 17" lower end model are a 1.83 Ghz processor, Intel GMA 950 graphics processor with 64MB of shared memory and combo drive at a reasonable $999. You can also get your 17" iMac with 2.0 or 2.13Ghz processor, hard drive upgrade option upto 500GBs, 8x Superdrive, 128MB GDDR3 ATI Radeon X1600 Graphics card and 1GB DDR2 memory starting at $1199. The new 24" iMac comes with 1920x1200 resolution screen, 2.16 GHz Core 2 Duo processor, 1GB memory, 250 GB hard drive, 8X superdrive NVIDIA GeForce 7300GT graphics card with 128 MB GDDR3 (option of 7600GT 256MB card) and other options same as 20" iMac. They are priced from $1999 onwards. Apple claims 24" iMac screen is 40% brighter then the previous 20" iMac and the viewing angle is also highest in iMac for 24" screen. Typical brightness on the 24" screen is 400 cd/m and the contrast ration is 700:1. For 17" and 20" the brightness is 250 and 280 cd/m, contrast ratio is 500:1 and 800:1 respectively. Everyone on web has been talking about Windows vista pricing after Amazon started taking pre-orders for vista. But comparing prices of Vista to XP when XP was released in 2001 shows that pricing has remained almost same. But what's with the vista Home Premium: $239 new and $159 Upgrade why extra for Premium there should be only one Home version. Compare it to MAC OS X there is only one version for the OS, I do understand the need for Windows Professional edition but why two versions for home. Its like showing that Vista is better then XP but if you want all the features then you should have paid $40 more or $60 more for upgrade. Again here the prices are same but as before there is a Ultimate edition which includes Windows BitLocker Drive Encryption and Network Capabilities like Group Policy. Why additional $100 for these capabilities which should have be included in Business version. I know Microsoft will justify there pricing but do you think that a OS should cost $400. Toshiba has released Gigabeat V for US it is same V30T from Japan but without TV tuner. This gigabeat gets many feature from Gigabeat S series. The Gigabeat V runs on Portable Media Center software and supports WMV9, WMV10, PlaysForSure video, MP3, WMA, WMA lossless, WAV and Windows DRM 9/10. The screen is 3.5" TFT LCD and the battery life is 8 hours for video and 25 hours for music. The price will be around $400 for 30GB and it can be pre-ordered but won't be available till October. 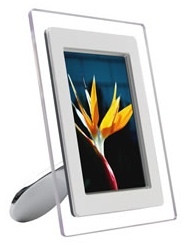 Philips has added 9" digital photoframe to its previous 7" photoframe. The frame has dual card reading support, it has internal memory also. The frame comes in a "modern" and "classic" look and the frame can be wall mounted. A video has been posted on youtube showing Apple web browser Safari 3. Rumors are that you will be able to rearrange tabs, break tabs off into new windows, move tabs from one window to the other, merge separate windows into one tabbed windows or create separate window from one tabbed window. Apple has released update which improves overall speed, stability and compatibility for it MAC OSX leopard which was distributed to developers at WWDC. Apple has not put any documentation with the update but changes are show in application like address book, Expose, spaces and time machine. All though there is no major change in look and feel of the OS but Stability has increased. Samsung Q1P has again got a update, this time they have added HSDPA for 3G internet access and a via processor. The UMPC will have better battery life and will have several interface addition. It will be released in Q4 this year. Macosxrumors.com has posted that apple will release a 23" iMac on 12th September the first day of AppleExpo. The iMac will be upgraded to Core 2 duo processor. 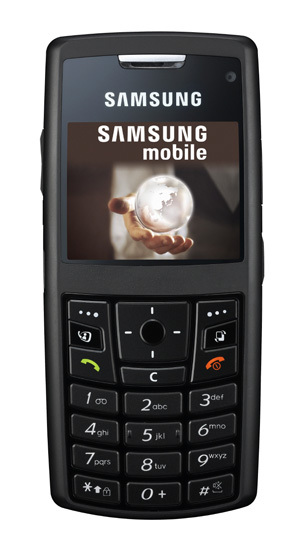 The slider style Samsung SGH-Z720 is the new top end HSDPA phone. 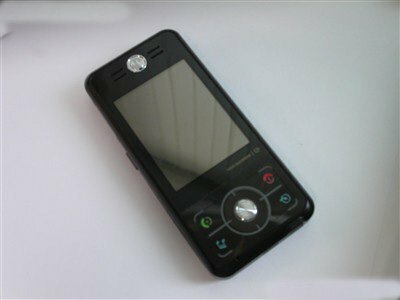 It has a 3 megapixel camera, 1.9" QVGA resolution TFT LCD display. it is just 13.8" thick. There is a camera in front for video calling and it also has a microSD slot. 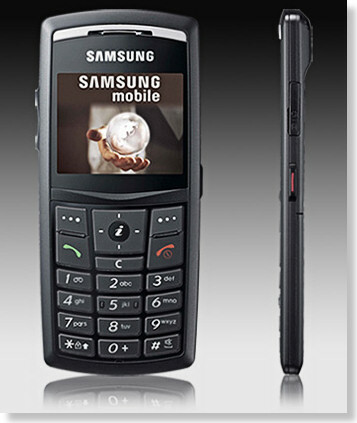 Samsung added Folder style Samsung SGH-Z620 mobile phone to its ultra edition range. The phone is a HSDPA phone and is the slimmest 3.5G handset measuring just 11.8mm. A 2 megapixel camera is used for both photo and video calling. 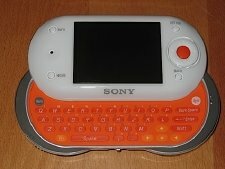 It has a 2.3" QVGA resolution display and microSD slot. Samsung SGH-z370 is the thinnest 3G phone measuring 8.4mm and weighing 71 g. It has a 2 megapixel camera and a VGA resolution camera for video calling. The phone has 1.9" display and a microSD expansion slot. 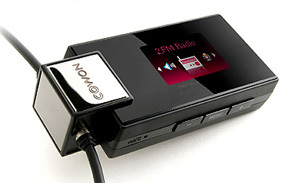 Samsung YP-K5 mp3 Player is a flash based player with 1, 2 or 4Gb memory. With 1.7 inch OLED screen touch sensitive controls, FM tuner and integrated speaker. 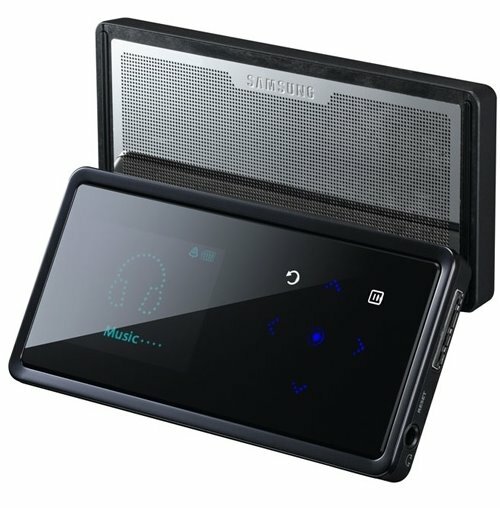 Samsung plays Mp3, WMA, JPG, ASF and OGG format. Quality of integrated speakers is a big question. Its battery life is 6 hours with the speaker and 30 hours with headphones. It uses USB 2.0 to charge in 5 hours. 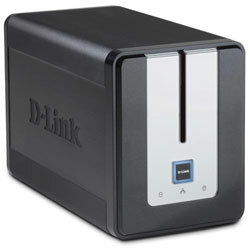 D-link has launched DNS-323 network storage enclosure for $229.99, which has dual bay for 3.5" SATA drives. The storage can be accessed through internet as it has a built in FTP server. DNS-323 can be used as RAID 1 system for backup. It also has UPnP AV support for audio video streaming and USB print server port. It doesnt have a WiFi capabilities. Sandisk has released sansa c200 its successor to c100 series player. Its a music player available 1 or 2Gb memory with colored screen, FM radio, photo viewer and microSD slot. 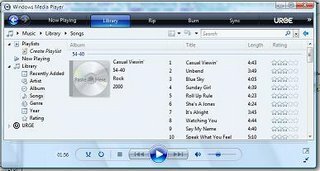 Both the players support playback of MP3, WMA, WMV and WMA DRM files. The player has 15 hours of battery life and its screen is 1.4 inch. Microsoft has released Windows vista Build 5536 or pre-release candidate 1, there are many improvement in this built compared to previous releases, over all speed has improved, stability has also improved when compared to build 5472. Still the biggest problem remains and that's drivers, finding drivers for vista is still a problem and if there are drivers they are not as good as for XP. For example performance of nvidia driver is slow and games give less frame rate when compared to Windows XP drivers. There is improvement in memory utilizations but still you atleast need 1GB RAM to make it work properly, A computer with 512MB RAM just cries for help, in fact vista is not at all usable for anything less then 1GB RAM. 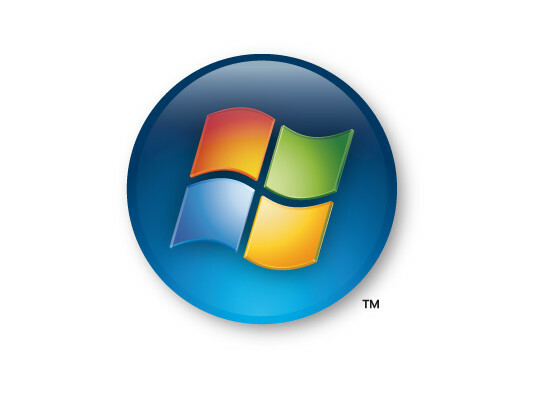 Microsoft Windows Live service has be integrated into system, where Microsoft includes numerous shortcuts to various Windows Live service. Documents, pictures, favorites and music folders are color coded to differentiate them from other folder. Now you can update all Microsoft programs using windows update program. Using windows media center is also faster. Over all it a huge improvement over previous builds but still there are things which needs to be corrected or improved. Microsoft has released beta 2 of Windows Media Player 11 for download by US customers, it requires Windows XP and Service pack 2. Microsoft has made changes to player interface, Urge music service gets a bolder look, Player control are arranged nicely and are easy to use still there is no support for Podcasts and Urge music service still needs some work to be done on it. Over all the performance has improved. Microsoft has Started manufacturing Zune media player which will compete against Apple's iPod. Zune is a 30Gb media player with Wi-Fi enabled and will be manufactured by Toshiba for Microsoft. It is believed that it will be priced at $299. Microsoft aims to release it before holiday season begins. 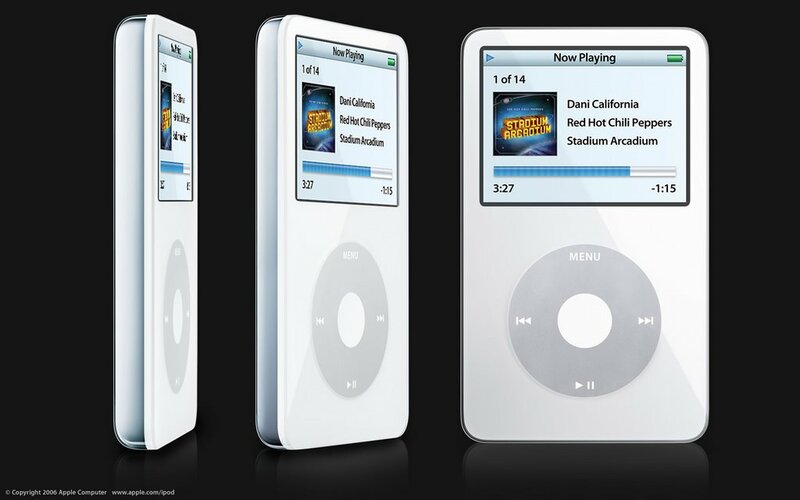 Rumors are going around that Apple will introduce new iPods in second week of September. Apple is planning to host a event on September 12th, where it will introduce new iPods and iTunes movie service. According to an article in Macdailynews Australian retailer are giving larger discounts on the iPods. Apple's iPods were last updated in October, 2005 and there are rumors that iPod Nano will be update with new design and higher capacity. 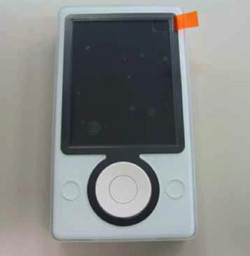 Apple might also introduce iPod video with touch screens, full front of the iPod will be screen and the controls will appear on screen when you take you finger near the screen.